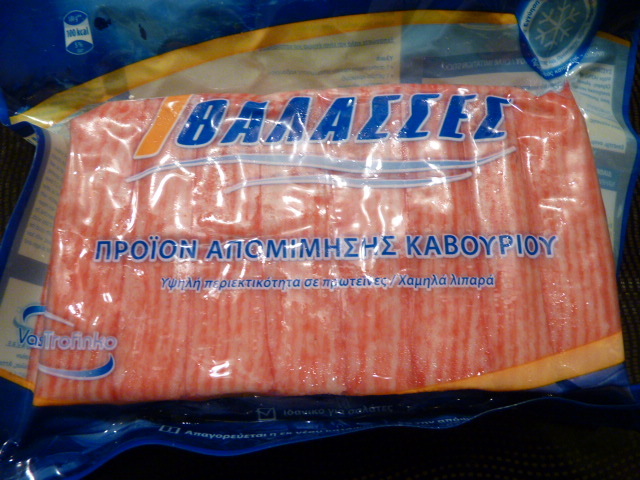 I found some surimi in the supermarket freezer. 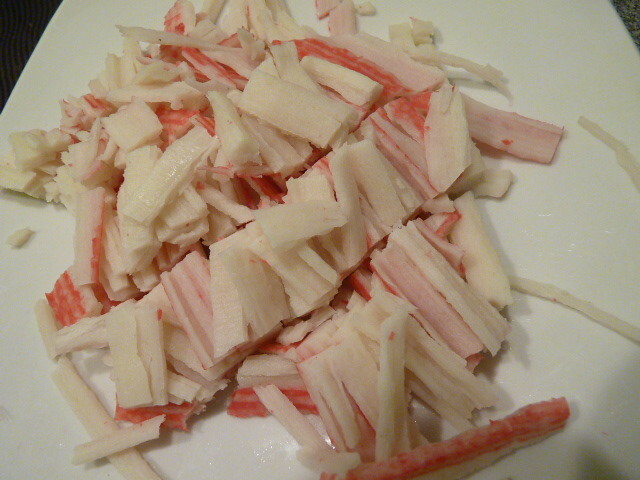 Surimi, if you don’t know, is what used to be called “imitation crab.” It’s cheap fish that’s flavored and colored to look like crab (or lobster, or whatever else you want). I like it because it’s quite low calorie and a good source of protein, without a high price. However, it won’t work in every crab recipe. I really liked the look of the Summer Crab Risotto on Brokeass Gourmet, which Gabi, the author, figures works out to $16.50 to serve 3-4 people. That’s a bit steep for me but I played around with it a bit, and managed to get it to fit our more frugal budget. 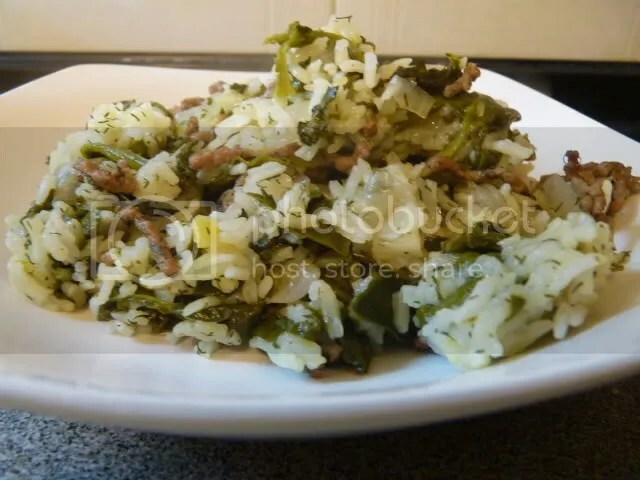 You can use any kind of rice you like. 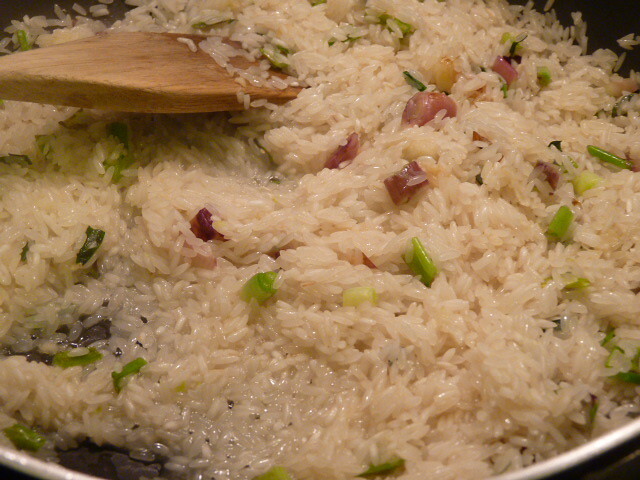 The rumor that you have to use arborio rice for risotto to work is just a rumor. I used to use brown rice all the time, but for frugality reasons, now I use standard medium grain white rice. 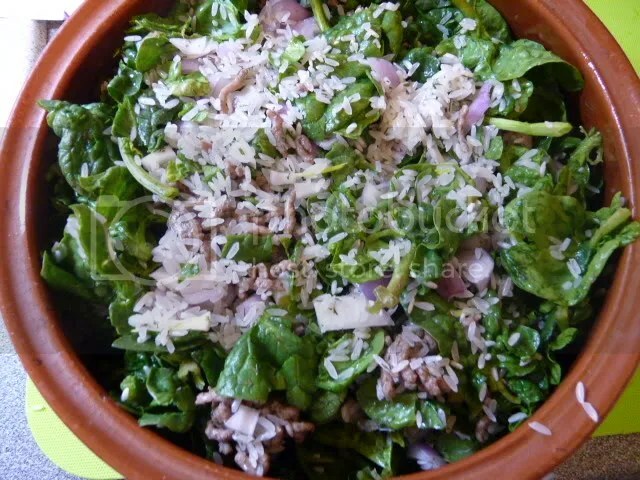 Arborio is hard to find in Greece outside of the major cities; Carolina is the more popular Greek choice for risotto; it doesn’t make a very big difference. 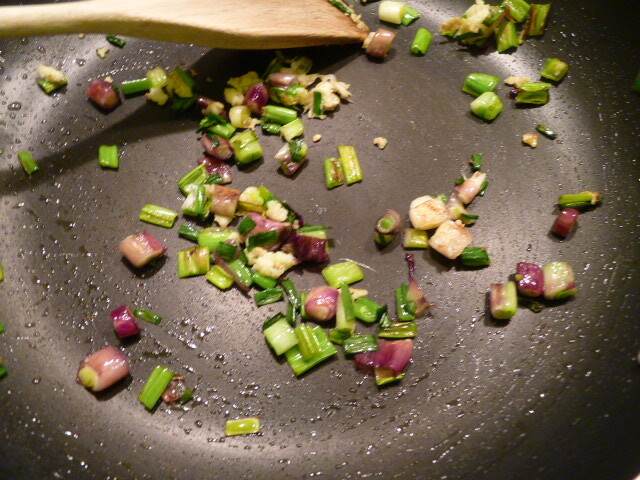 Start by sauteing the green onions and garlic in an olive-oil sprayed nonstick pan. 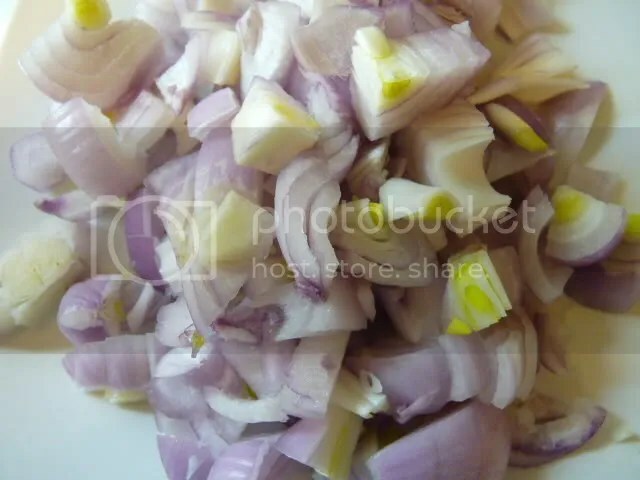 I used purple onions but it doesn’t matter. 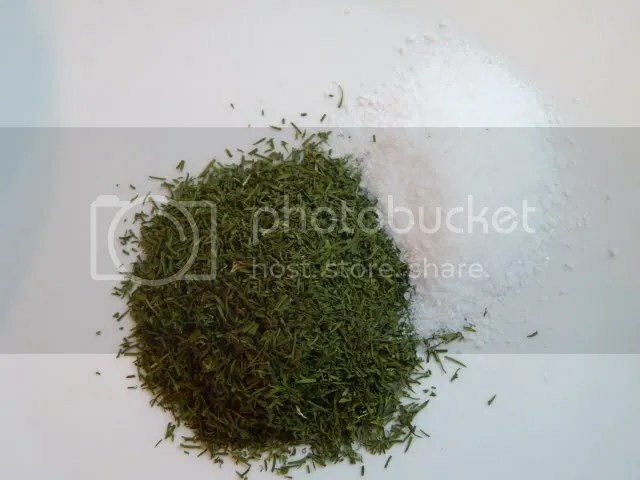 While you’re doing that, boil some water in a kettle and pour over a chicken bouillon cube (I break it up into powder first). 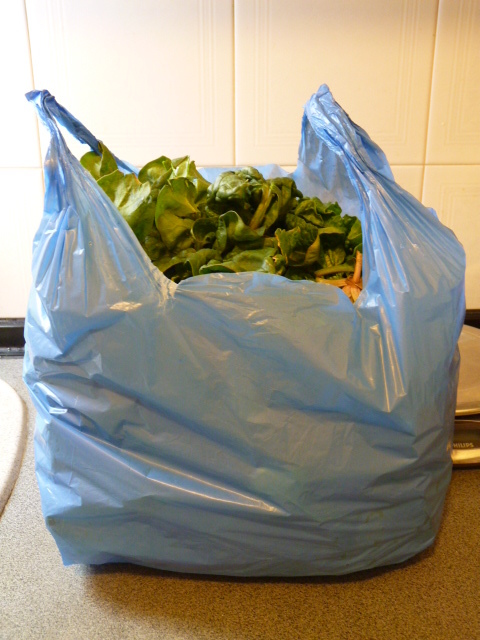 You can use fresh chicken stock or canned if you have it, of course, but the cube is the cheapest way. You’ll need about 3-4 cups of stock. 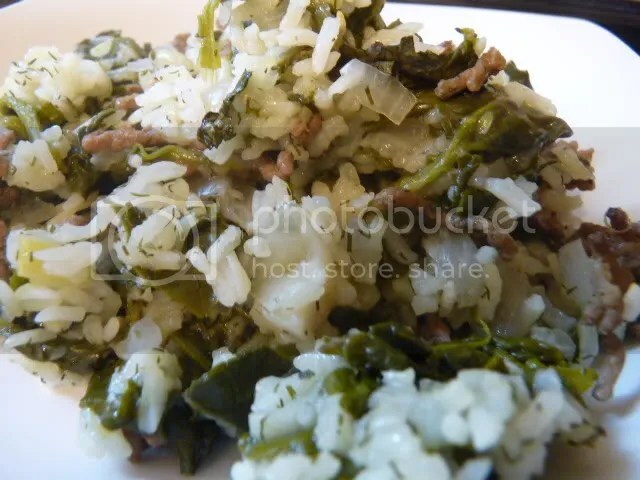 When the onions are soft and starting to take on a little color, stir in the rice for a few minutes – this will help develop its flavor a little further. Pour in some stock while stirring constantly. 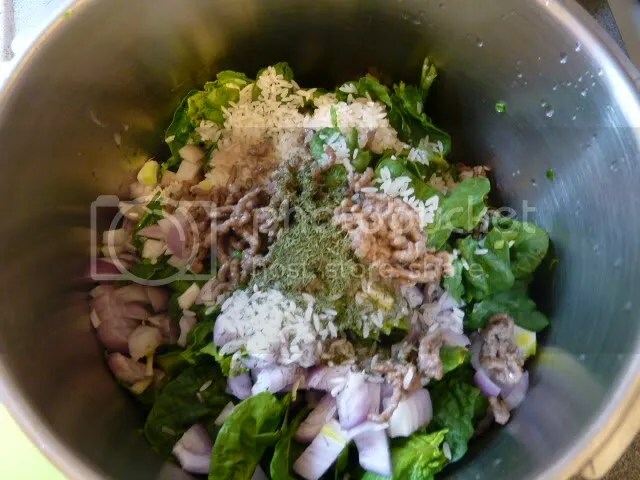 The typical way to make risotto is to keep adding stock as it evaporates and is absorbed, while stirring the whole time, and that’s how I do it also. 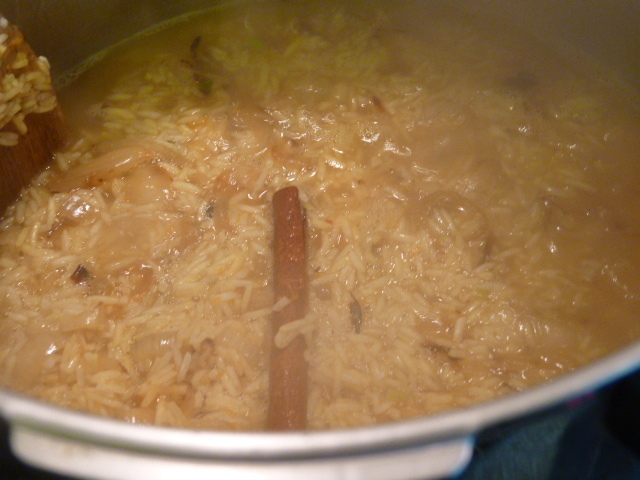 Keep adding stock so that the rice has a chance to cook. 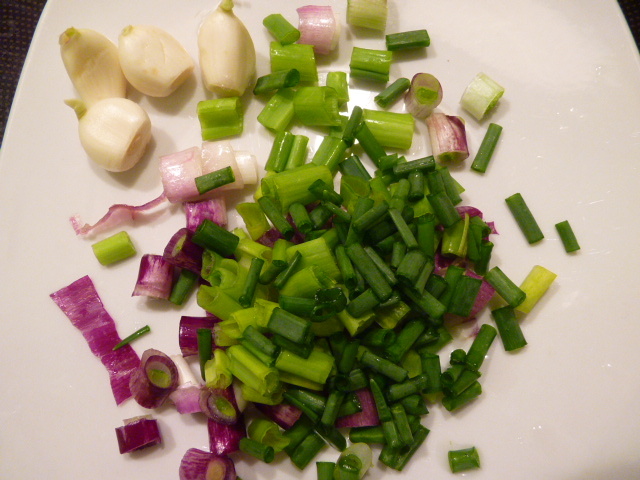 Add the parsley if you’re using dried parsley, and the corn. 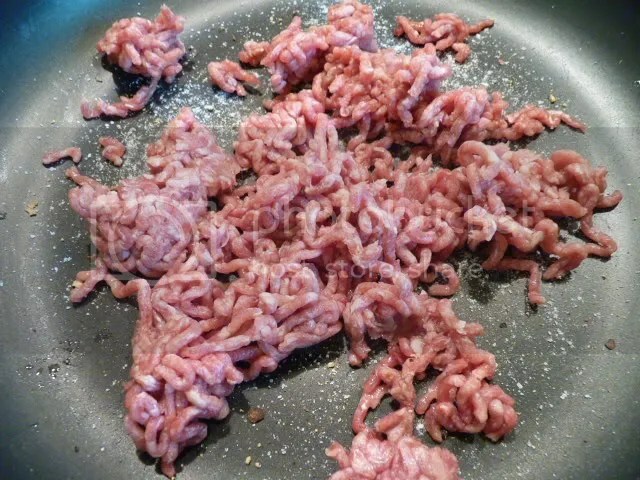 If you’re using fresh parsley, add it at the end. 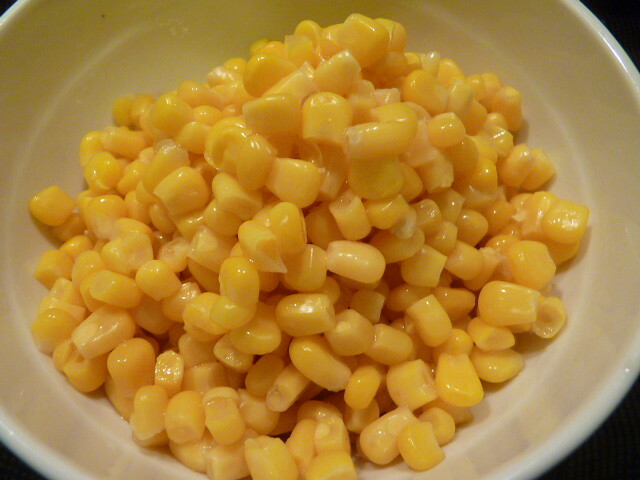 I used canned corn; you can use frozen or fresh if you like. 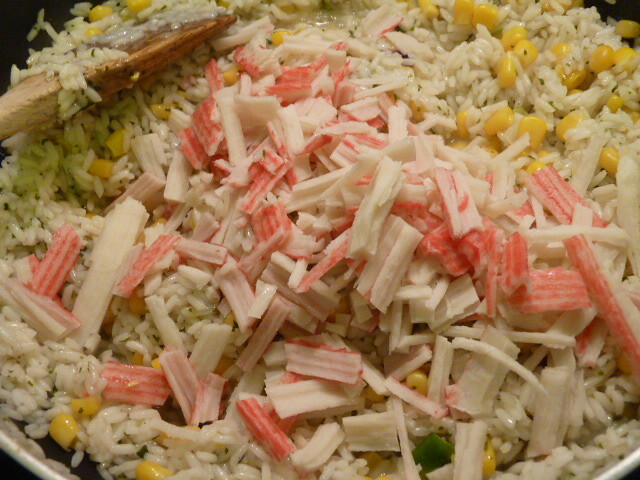 Stir it all to incorporate, and add the crab. Continue adding stock if at any point it dries out. 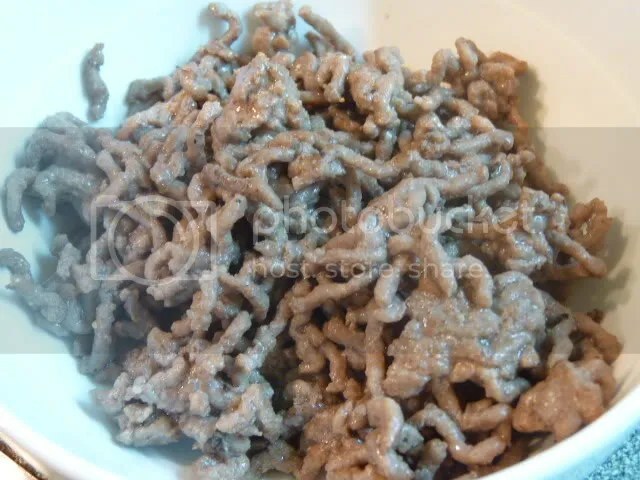 I don’t like my risottos really wet but you don’t want it to be dry either. Use the stock and heat to find the right balance. 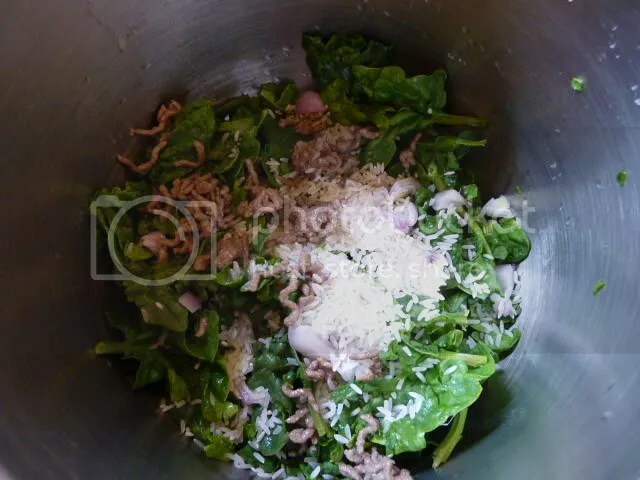 Stir in the cheese, and fresh parsley if using. 1. 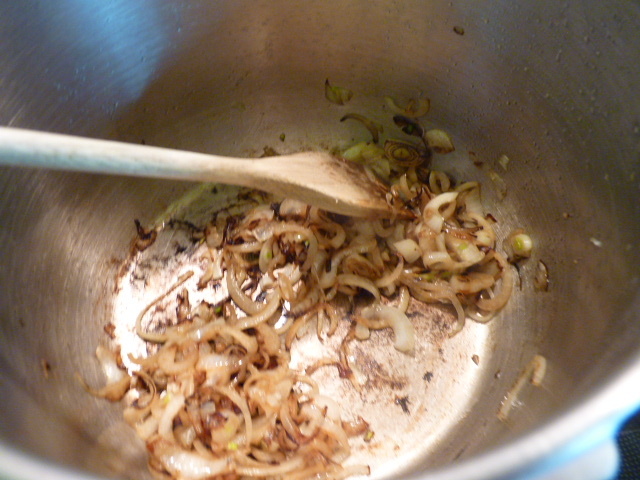 Saute the onions and garlic in a nonstick pan sprayed with a little olive oil. 2. 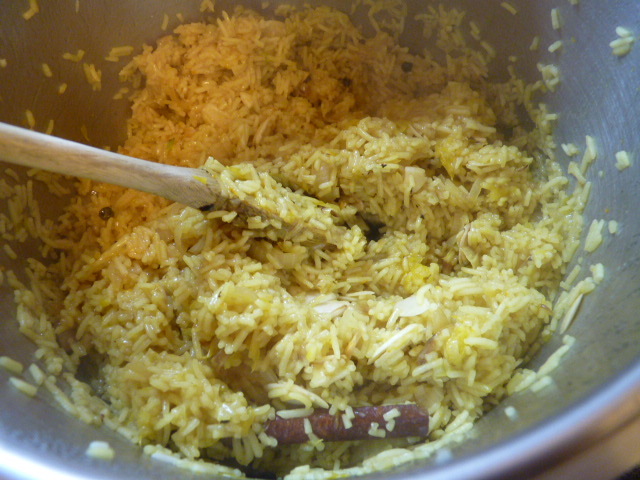 Stir in the rice for several minutes. Pour in the chicken stock, a ladle-ful at a time, allowing it to absorb the water. Stir continuously. This should take about 10-15 minutes. 3. 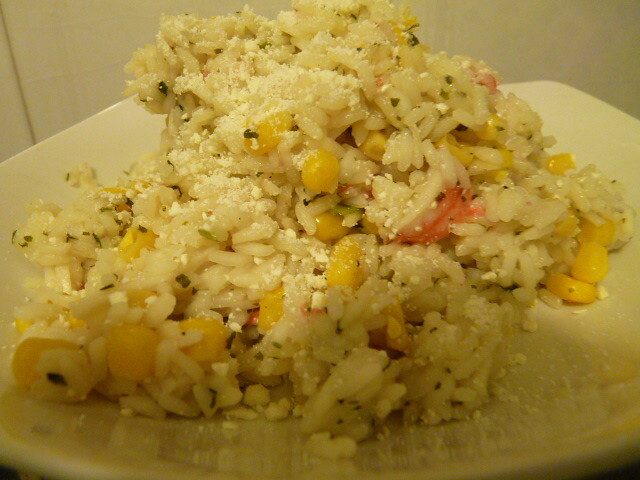 When the rice is soft, stir in the corn, dried parsley, and surimi. Stir for several more minutes, adding more stock as needed. 4. 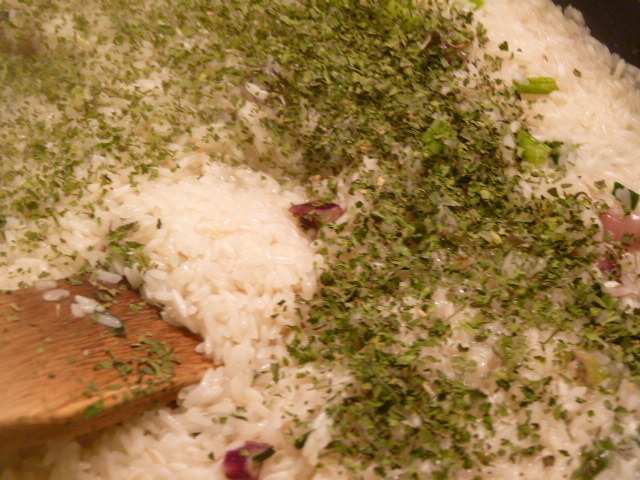 Stir in the parmesan and fresh parsley if using. Serve. thiamin, niacin, vitamin B-6, phosphorus, selenium, magnesium, zinc, iron, vitamin B-12, manganese, and copper. This recipe is from one of my favorite cookbooks: Oranges & Lemons: Recipes from the Mediterranean by Sarah Woodward (2001). I made very few changes to the recipe, for example, I include the flesh of the orange rather than discarding it (I can’t bear to throw anything away!) and I reduce the almonds by two thirds, for frugality reasons. 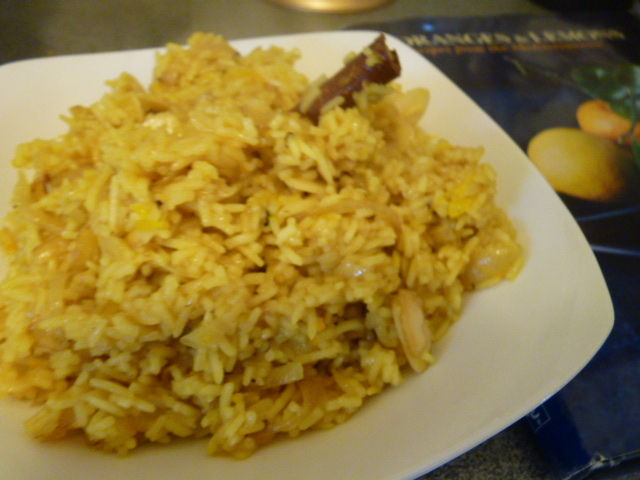 We ate this pilaf as a main dish, but you could certainly serve it with meat: perhaps lamb or goat. 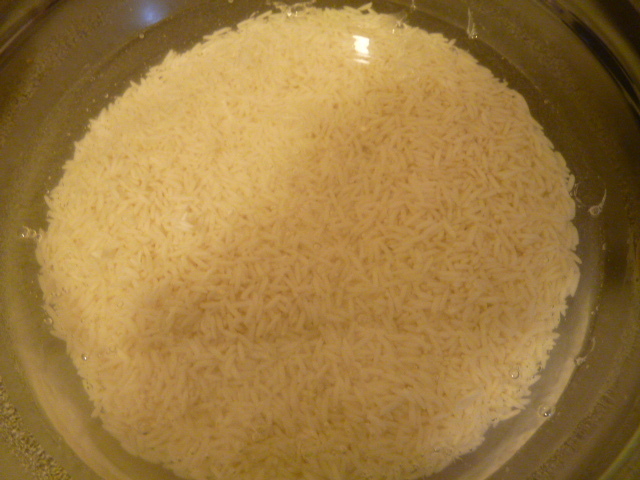 Soak the Basmati rice in potable water for a while. I soaked mine for about two hours. Rinse it really, really well until the water runs clear. Zest the orange. 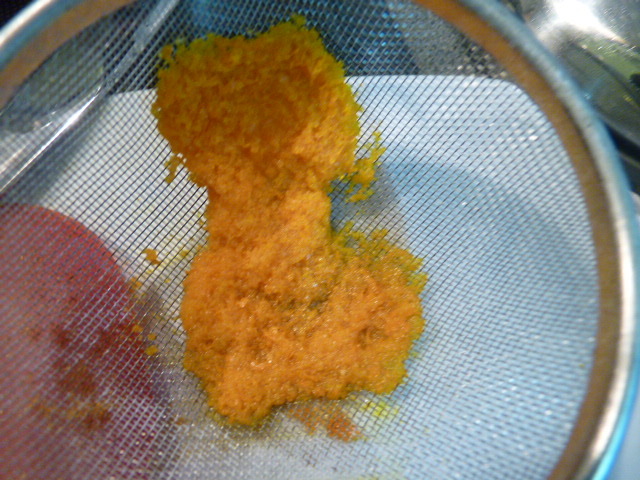 Boil a bit of water and blanch the orange zest for a few minutes. Drain through a very fine strainer and set aside. 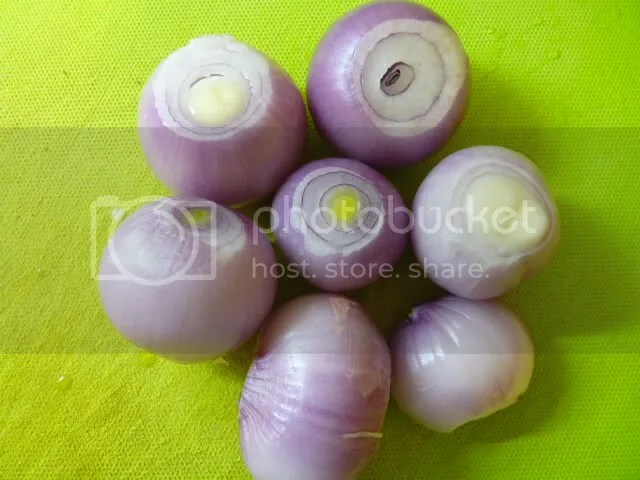 Slice the onions thinly, and cook in butter until golden. You want to use a pretty big pot for this. While the onions are cooking, gather your spices together: a cinnamon stick, cardamom pods, cloves, peppercorns, turmeric, salt, and sugar. The original recipe calls for black peppercorns but I used a mix. Start an electric tea kettle (hot pot) going with a few cups of water in it. 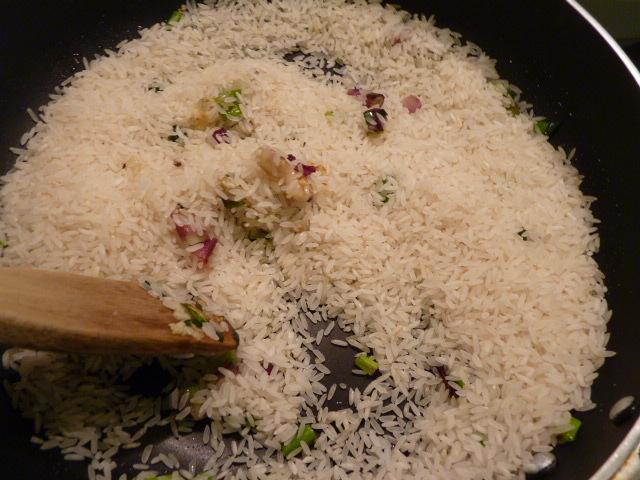 Add the rice to the pot and stir everything together very well. Stir in all the spices, and the orange-flower water. If you haven’t seen orange-flower water (anthonero / ανθόνερο here in Greece) in your supermarket, Middle Eastern markets always have it. It’s a wonderful thing to have on hand, especially for sweets. Note: the original recipe calls for saffron instead of turmeric; saffron is one of the most expensive foods in the world and I don’t buy it. On the island where we lived, it grew wild, and I would pick it to my heart’s content. But for those who aren’t surrounded by it, it’s crazy expensive. 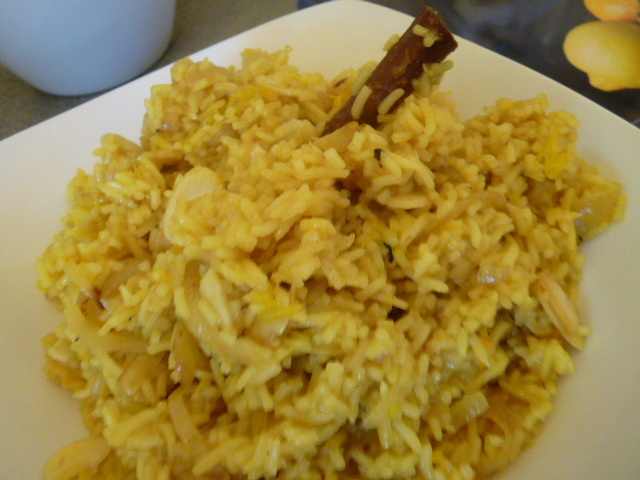 Turmeric is a very inexpensive replacement, at least for the beautiful yellow-orange color. Squeeze in the orange juice from the zested orange. Add the water from the tea kettle to the rice, stirring really well. Cook on low heat for about 6-10 minutes, stirring in more water as necessary (risotto-style) to keep it from sticking to the bottom of the pot, and periodically tasting it to see if the rice is soft enough to eat. 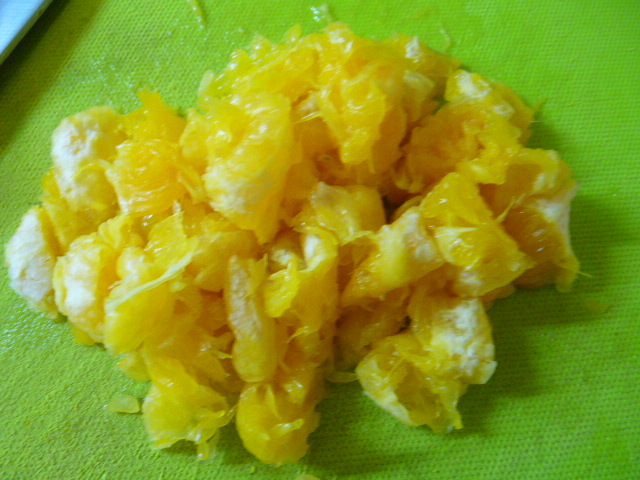 Remove the flesh from the squeezed zested orange, chop, and throw it in the pot as well. 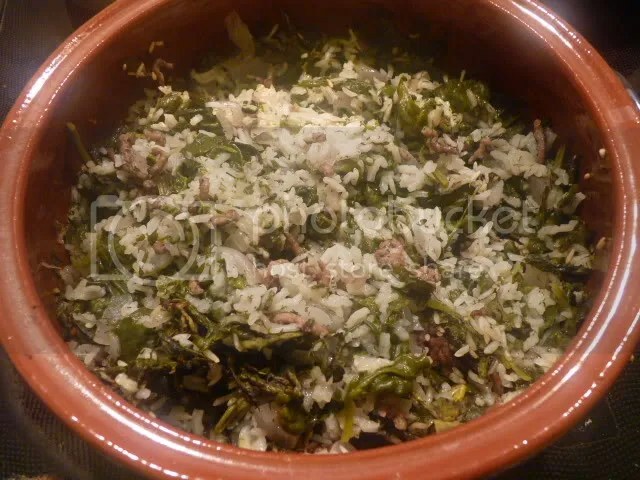 When the rice reaches the right tenderness, allow any remaining water to cook off, then remove from heat and cover with a dish towel to absorb the extra steam. 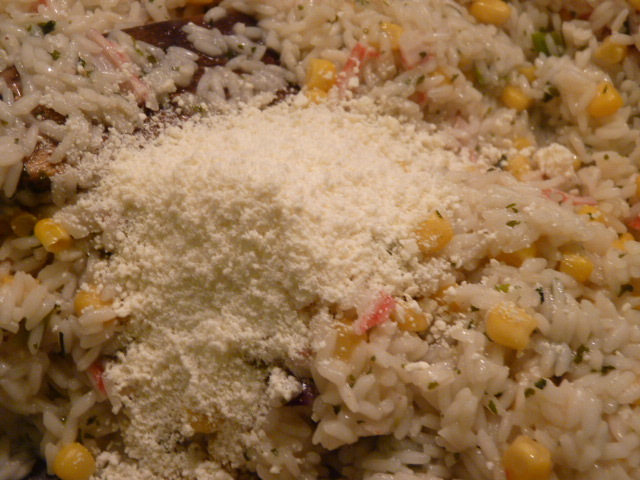 While the pilaf is resting, melt the rest of the butter in a pan and add in the almonds. The original recipe calls for a full cup of almonds. I used a third of a cup and I think this is adequate and in fact I think more than that might be too much for my taste. 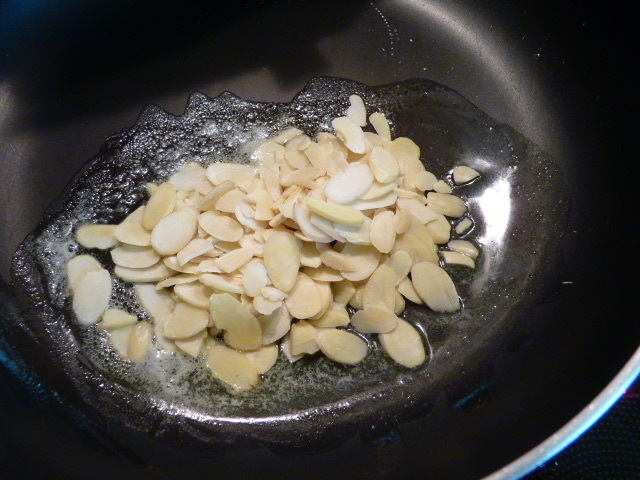 Toast the almonds in the butter briefly until they turn golden (they will burn easily if you ignore them, so keep an eye on them the whole time), and then pour the almonds, with the butter, over the pilaf; stir it all together, and serve. 1. 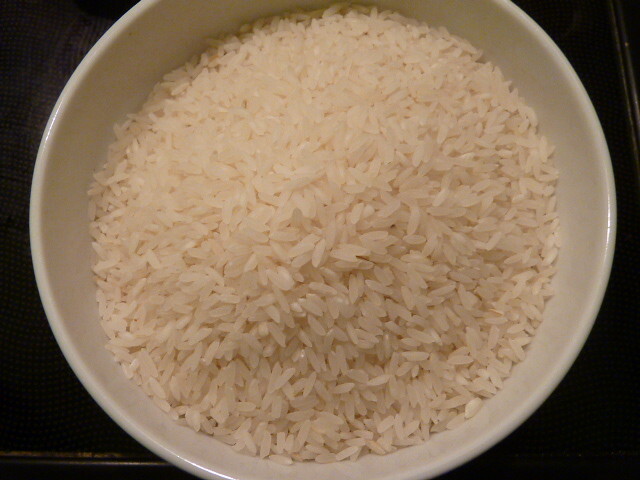 Soak rice in potable water for 1-3 hours. Drain and rinse several times until water is clear. 2. Melt 2 tbsp butter in the bottom of a large heavy pot over medium heat, and cook the onions in the butter for about 10 minutes or until onions are golden. Meanwhile, zest the orange; blanch the zest in a small amount of boiling water. Strain through a very fine strainer. 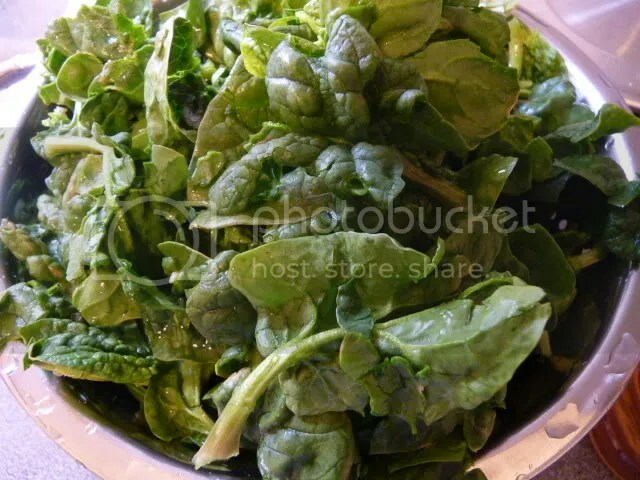 Bring to a boil 4 cups water in a tea kettle. 3. 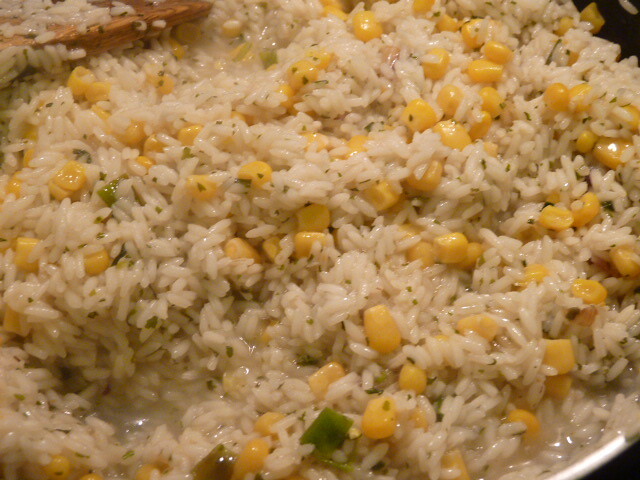 Reduce heat to low; add the rice and stir very well. 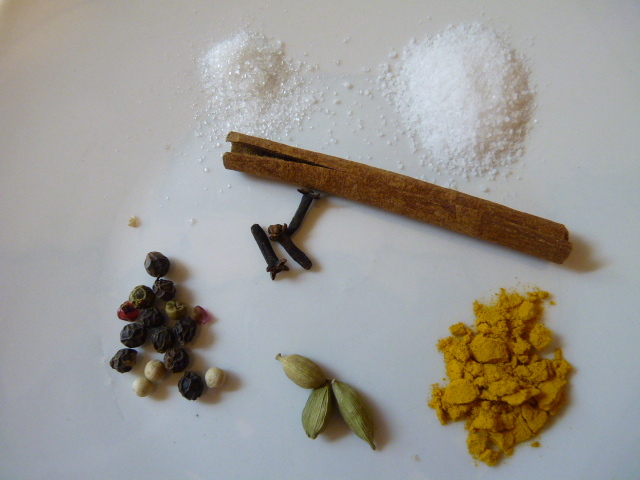 Add in all the spices (turmeric, cardamom, cinnamon, cloves, peppercorns, sugar, and salt) with the orange zest. Juice the oranges into the rice. 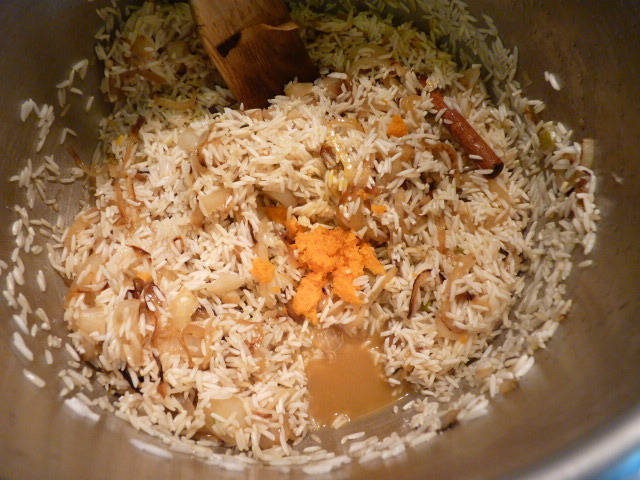 Stir all this together and add 2.5 cups of water to the rice, along with the orange-flower water. 4. Remove the flesh from the juiced orange and chop; add to the rice. 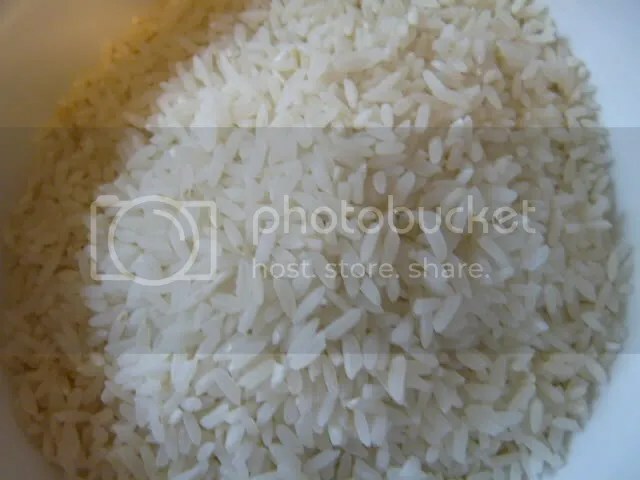 Continue stirring the rice regularly to avoid sticking. Add more water if necessary to avoid sticking. 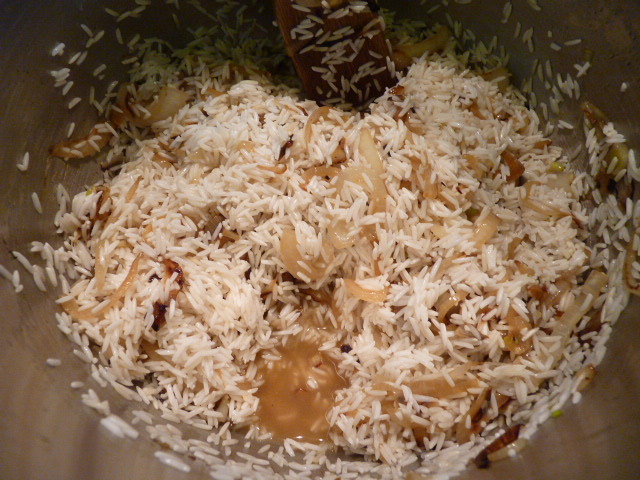 Cook until the rice is tender; then remove from heat and cover with a towel. 5. Melt the remaining 2 tbsp butter in a pan and toast the almonds in the butter for a few minutes until golden. 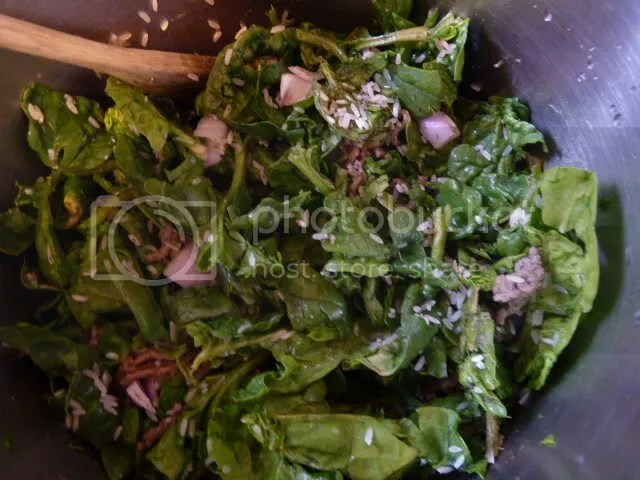 Pour the almonds and the butter into the pot with the pilaf. Stir everything together and serve. Note: to make this vegan, just use olive oil instead of butter. vitamin A, thiamin, niacin, vitamin B-6, phosphorus, selenium, magnesium, zinc, vitamin C, iron, riboflavin, manganese, and copper.